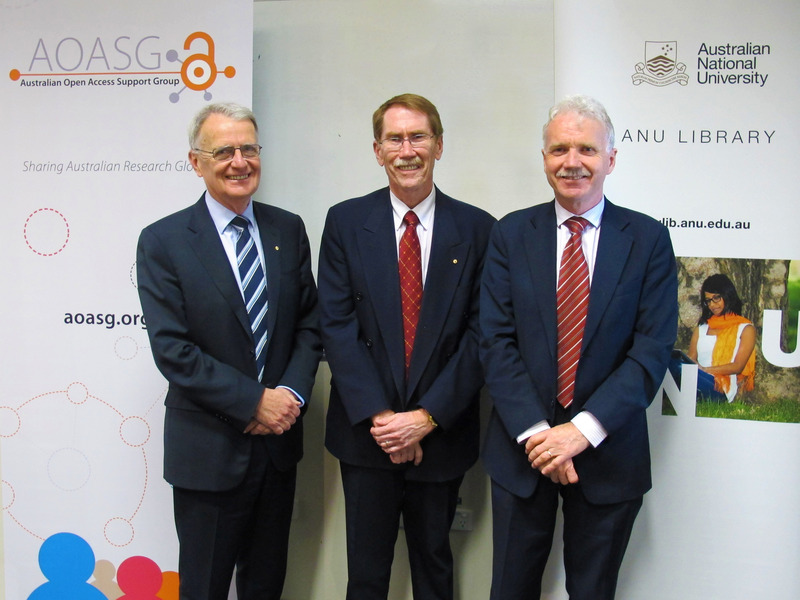 Australian Chief Scientist comes out in support of Open Access. Measuring the impact of research has been on and off the government’s agenda for many years now. Originally part of the Research Quality Framework, impact was removed from the Excellence in Research for Australia during its trial in 2009. Due to its increasing relevance, measuring impact was trialled again in 2012 by the Australian Technology Network and the final report from this study: “Excellence in innovation: Research impacting our nation’s future – assessing the benefits” was released in November 2012. The Department of Innovation is currently exploring options for the design and development of an impact assessment program. It intends to pilot this in 2014. The Paper seeks the “views of interested parties regarding a future assessment of the benefits arising from university-based research”. Before research administrators throw their hands up at yet another assessment program, the Discussion Paper does recognise the overwhelming compliance burden on universities and the need to simplify this burden. . The Preamble states that plans include “scaling back and streamlining a number of current data collection and analysis exercises”. further develop the evidence base upon which to facilitate future engagement between the research sector and research users, as well as future policy and strategy. AOASG prepared a submission in response to the discussion paper proposing that open access should be a measurable for assessing impact and that some reward should be associated with making work freely and openly available. All submissions will be made available to the public on the Dept of Innovation website. In anticipation, the AOASG submission is copied below. NOTE: AOASG chose to only respond to Principles 1, 3 and 5. Principle 1 is to be applauded. It is sensible and practical to marry the types of data required with the types of data the Universities are already producing. This will minimise the burden on Universities in aggregating data and producing reports. Open access repositories in Australian universities are developed in a finite set of software with common underlying code – OAI-PMH. This allows for aggregation and harvesting across multiple platforms. Such repositories usually maintain statistics about individual works, such as the number of downloads and places where these downloads have originated. Prior to developing or recommending any specific data for reporting on impact, we suggest that a survey be conducted of university libraries to gather information on the type of data collection methods already in place within open access repositories. This also has the benefit of supporting Principle 2 – Minimise administrative burden. Principle 3 notes that this assessment should encourage and assist universities to “better recognise and reward (for example in recruitment and promotion exercises) the contribution of academics to engagement and collaborative activities”. A fundamental component of this assessment is an academic’s involvement in open access and their approach to making research freely available. Many Australian researchers share their work with the broader community by placing a copy of it in their institutional repository, or in a subject-based repository such as PubMed Central, SSRN, arXiv, or RePEc. The ARC & NHMRC open access policies are likely to encourage more researchers to follow this trend. However, currently there is no aggregated data, and little individual data, on the extent to which Australian researchers are making their own work available. In addition, some researchers also widen the accessibility of research outputs by working as editors, publishers and reviewers for open access journals published out of Australian universities. A definitive list is currently being developed of these journals however this list does not indicate the level and extent of open access activity in the country. The efforts of academics and researchers to share research openly is currently not measured nor rewarded through any promotion or funding incentives. Principle 5 – is a good suggestion given that some types of research will naturally have a wider impact than others. Impact will also vary over time with some research outputs producing impact after a considerable time and others making immediate significant impact. It is more challenging to articulate the benefit to wider society of research in, say, pure inorganic chemistry than, for example, forestry. When considering the need to granulate the information available, the benefit of using data from open access repositories as suggested above, is the metadata for each record contains information about the author, subjects and clearly the institution. What considerations should guide the inclusion of metrics within the assessment? It has become clear that the established measurement systems such as the Journal Impact Factor (JIF) can be affected by those who seek to manipulate the outcomes. A recent clear example this is occurring is the JIF decision to suppress a larger than usual number of titles this year due to “anomalous citation patterns resulting in a significant distortion of the Journal Impact Factor”. Any reliance on metrics as a measure of quality and/or use of research needs to consider attempts to manipulate new measures as a potential outcome. One way of minimising data manipulation is to use a mix of qualitative and quantitative measures. What information do universities currently collect that might form the basis for research engagement metrics? As noted above in section 2 all Australian universities and CSIRO have an open access institutional repository. Such repositories usually collect information on the research that is available, how often it has been downloaded and where the interest has originated. What metrics are currently available (or could be developed) that would help to reveal other pathways to research benefit? 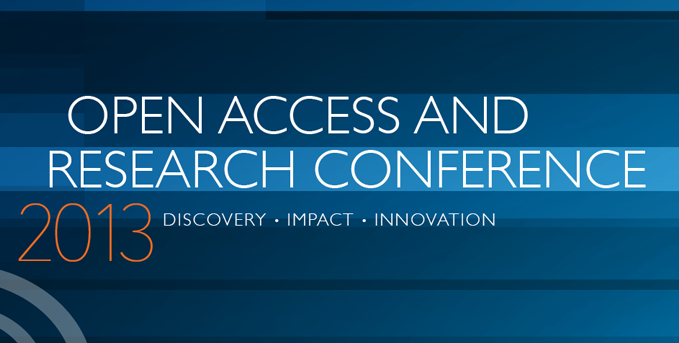 The act of making a work open access creates a pathway to research benefit. Open access increases the potential impact of the work because it ensures the work can be accessed, applied or built upon by other researchers, industry, practitioners and the public. On this basis, we propose that the act of making research publicly available is a fundamental metric of assessing research benefit. This would also support and endorse the open access policies of the ARC & NHMRC. The metric could be twofold – at the individual researcher level (in terms of promotion) and/or at the institutional level. While in some cases publisher copyright conditions will prevent work being made available, having an appropriate version of the work deposited in a repository with a ‘Request copy’ button facilitating access could be considered ‘making it available’ for this purpose. Repositories capture article download information at the level of the individual article. This data could also be used as a metric of a pathway to research benefit. There is a proven link between making work open access and citations. The general collection of download statistics would be only one of several measures that can be aggregated to demonstrate interest in an use of research (see the next point). In addition to ERA, NSRC, GDS, AusPat and HERDC data, are there other existing data collections that may be of relevance? Recently there has been a move to develop a series of metrics that assess the value of individual articles rather than placing value on the journal or publication in which the article appeared. These article level metrics offer real time feedback about the way a research article is being used. One example is the metrics page provided for a published article that lists the number of HTML views, PDF downloads, XML downloads as well as the number of citations and where the article has been shared on social media, such as through Twitter. There are however, many other examples of article level metrics already in existence. Examples include: Altmetric, ImpactStory, Plum Analytics & PLOS ALM. Discussion of research on social media sites indicates a level of impact beyond the confines of the scholarly publication system, with the added benefit of being instantly and easily quantifiable. The timeliness and convenience of these metrics addresses the need for “current information on the prospect of benefits from research” as identified in the Discussion Paper. What are the challenges of using these data collections to assess research engagement? It will be necessary to determine which sets of article level metrics are the most appropriate for specific purpose. There may be a need for some aggregation to correlate several sets of metrics about the same item. We have two suggestions for additions to Appendix A – “Examples of possible metrics”. An additional Research engagement mechanism could be “Provision of research outputs in a publicly and freely available outlet”. The Measure could be “The percentage of research that is freely and publicly available within 6 months of publication”, and the Source would be “Institutional repositories, subject based repositories or open access publications”. Currently one of the research engagement mechanisms listed is “Research engagement via online publications”. The measure suggested is “Unique article views per author” and the source is “Websites such as The Conversation”. We are in full support of this suggestion. The Conversation is an opportunity for researchers to discuss their work in accessible language and the author dashboard for The Conversation provides comprehensive metrics about readership. However we suggest there are other metrics within the classification of ‘online publications’. Open access repositories can provide metrics on unique article views per author. We therefore suggest an additional source being “Institutional repositories, and other article level metrics”.